The full story is here! Yesterday was the Shiv Disc appetizer and today is the main course! For those that missed it we shared some initial images of the new Shiv along with this video detailing some of the new features. 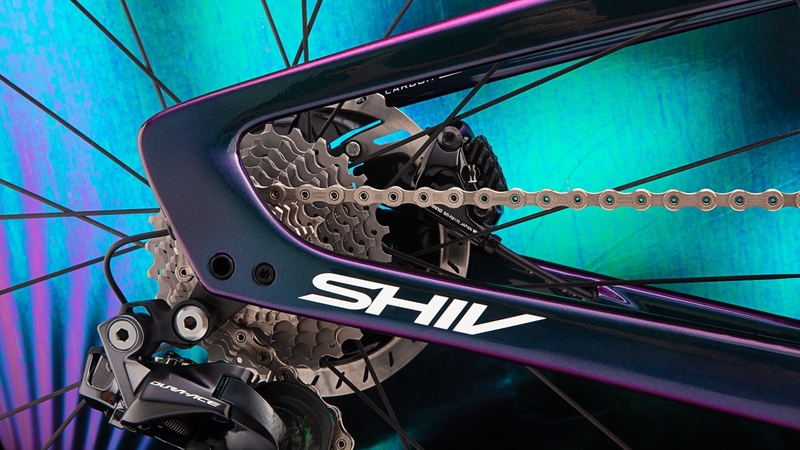 And today the new Shiv is live (including it’s $14,000 price tag). So lets dive in and fully go through everything the new Shiv has to offer. 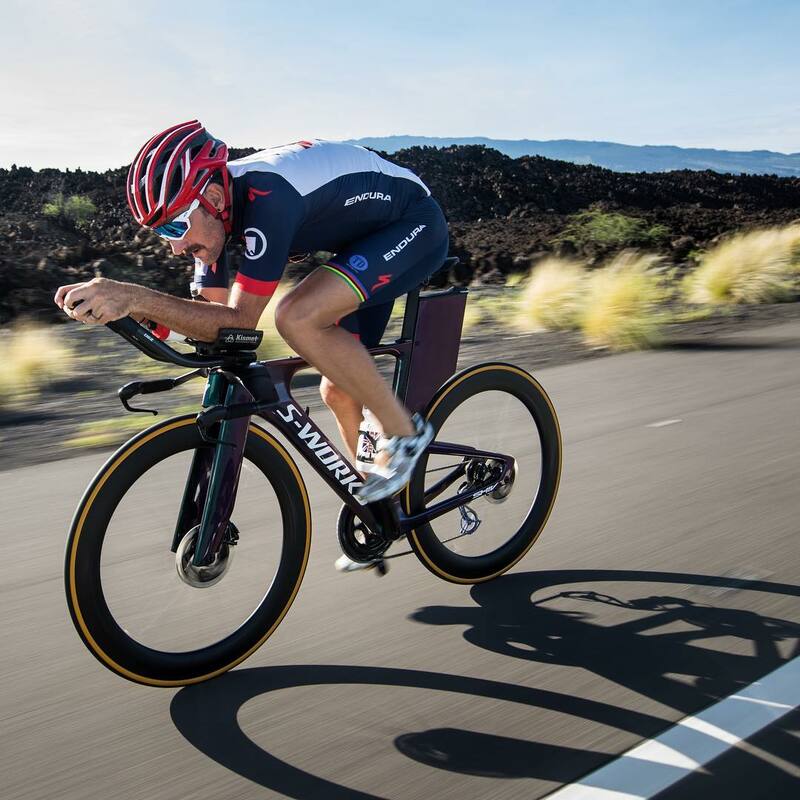 The mission statement of this bike was simple – create the fastest bike for the Ironman World Championships. In other words – win or go home. And everything Specialized built into this bike was towards the goal. 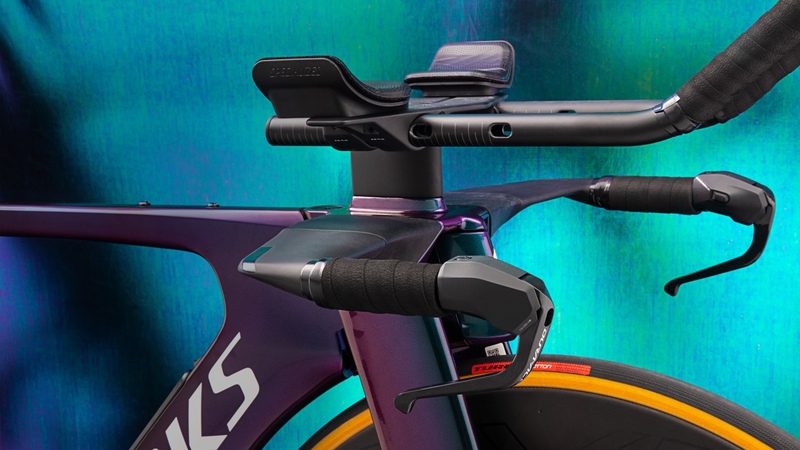 And with that in mind a single prevailing concept prevailed – sail with the cross winds of the Queen K.
Even with a rider on board the seat tube and seat post play a huge part in the aerodynamics on a bike. By maximizing the shape to sail the cross winds they found they had a large amount of storage space. Unfortunately items like tires and tools did not fit the confines of this space effectively – water on the other hand did. Specifically 1.5L (or about double the amount of the original Shiv). The water flows down the FuelCell to the bottom bracket and then up the downtube. We found the image below on SlowTwitch\Facebook that better shows the path of the tube. No word yet on how to refill it. Specialized tells us that their athletes requested a design with enough on-board fuel to fly right by aid stations for the first half of the bike, so that’s what they did. 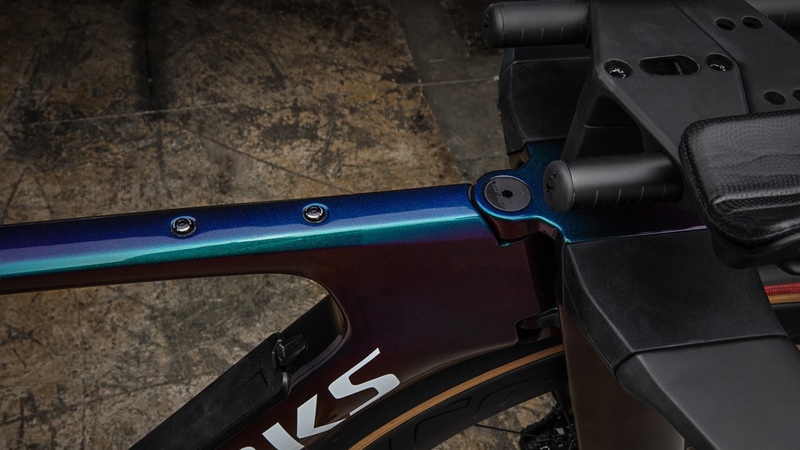 In the years since the launch of the original Shiv, Specialized found that the way atheletes set up their hydration and fuel had a larger impact on overall aerodynamics than the actual design of the frame of the bike. Focus of the new Shiv was how to accommodate all of the needs of an athletes rolling buffet with minimal aerodynamic impact. 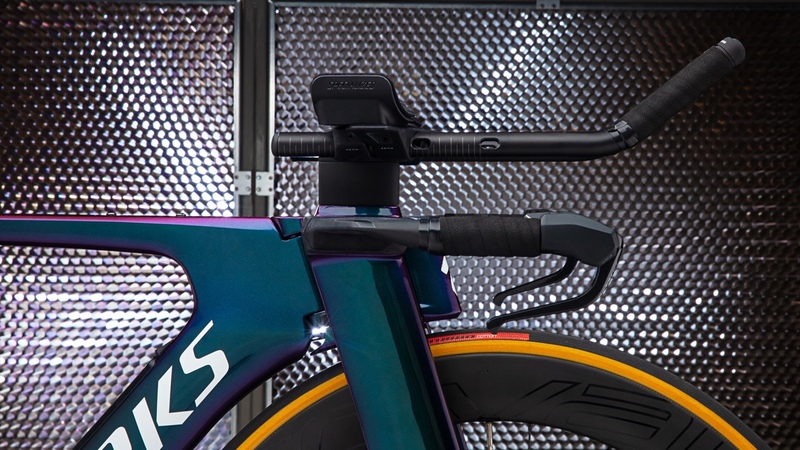 The all new Shiv saves nearly a minute out on course at Kona when compared to the fastest race ready setup (Fuelcell, slammed bars, clean cable routing, BTA bottle) that Specialized could create for the original 2011 Shiv. 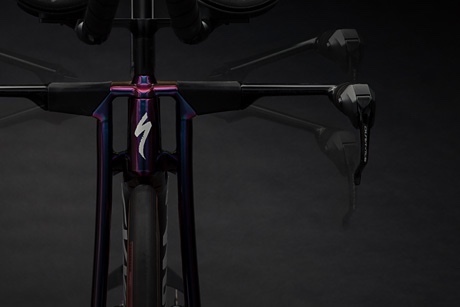 Moving back towards the front of the bike, Specialized reintroduces the Nose Cone from the Original Shiv TT to create an optimized cross section shape around the head tube which also hides the hydration hose. 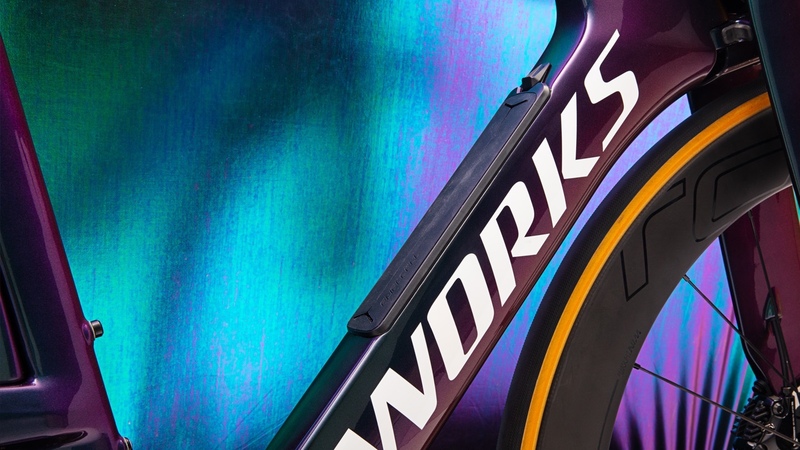 The result is a twinblade like fork that we cannot wait to see in person. 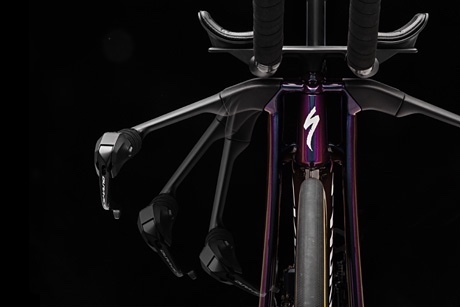 And instead of attempting to minimize the frontal area of the fork as we see in most designs, Specialized chose to enlarge it to enable that crosswind sailing we mentioned. The fork blades extend all the way from the axel up to the underside of the basebar. Specialized has found that not much aero performance to be gained by maximizing the downtube shape but you risk a weight penalty. The shape they chose allows a FuelCell to be integrated. 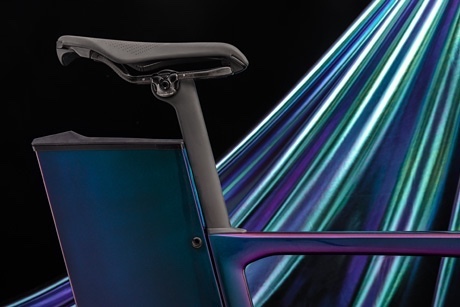 The dropped seat stays are an important part of maximizing aero performance. Specialized dropped them as low as they could go without sacrificing handling or power transfer. For those that travel with their bike, front end is easily removable. 5 minutes and 5 bolts to pack and unpack the bike without changing the fit. The four available Shiv sizes have been based upon thousands of Retül Fit data points. 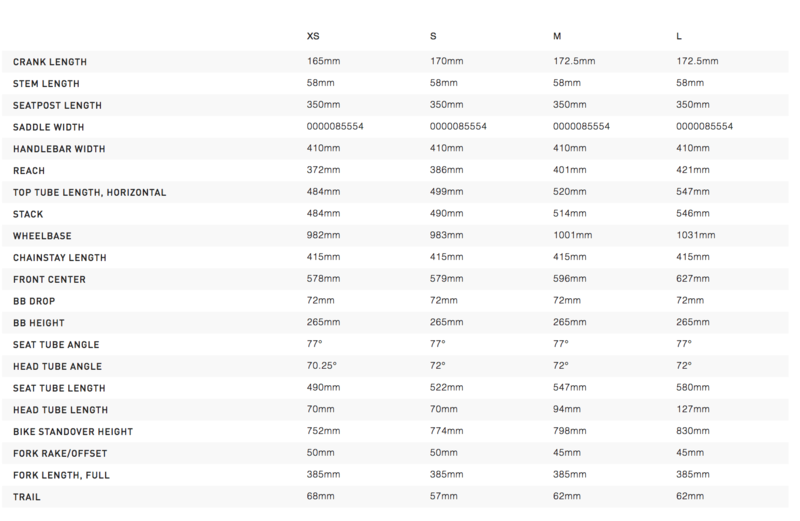 Specialized’s new Shiv Finder tool makes it easy to determine your size based on your current position. The cockpit features 115mm adjustment for the pads on the front end to accommodate the lowest and highest positions. The basebar is adjustable to 3 different positions. The Launch Edition ships in the color way listed above. It features a Shimano Dura Ace Di2 groupset, CeramicSpeed bottom bracket, and a S-Works Power Cranks, dual-sided power meter. You will be rolling on a set of Roval CLX 64 disc wheels with CearmicSpeed bearings. 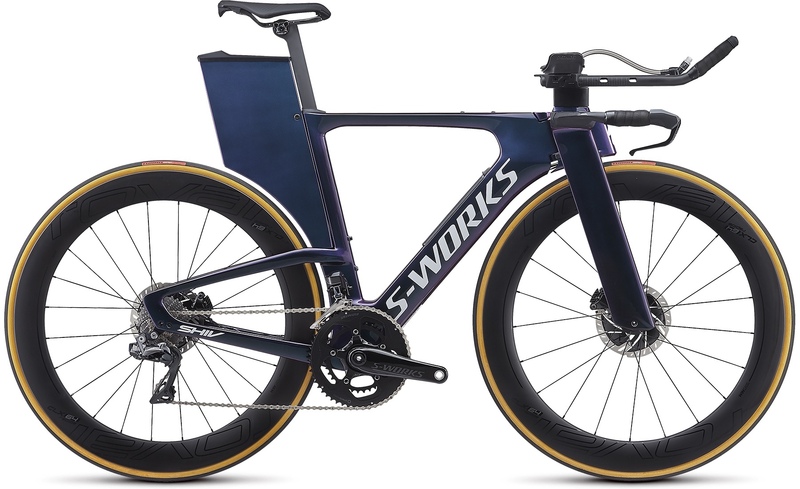 Specialized is also including a custom case for the initial launch edition of which only 500 will be made (bkes + cases). Cost is as we stated above – $14,000 with delivery in March. Reservations are available now with release in March 2019 and can be made at Specialized.com. We would be lying if we didn’t sit with our jaw on the floor at first and wonder what were we looking at. That rear FuelCell is polarizing. But the more and more we look at this bike the more we are starting to see its beauty (and that is before we have a chance to look at aero data). This image below (thanks Slowtwitch) shows rider on and the rear sail (sorry FuelCell) works for us. Before we make any final judgement we want to see the aero data plus get some ride time. We don’t expect either to come until 2019. But this weekend we do have the chance to see riders on cource on the Queen K and we expect their performances to start cluing is into just how good this bike is! 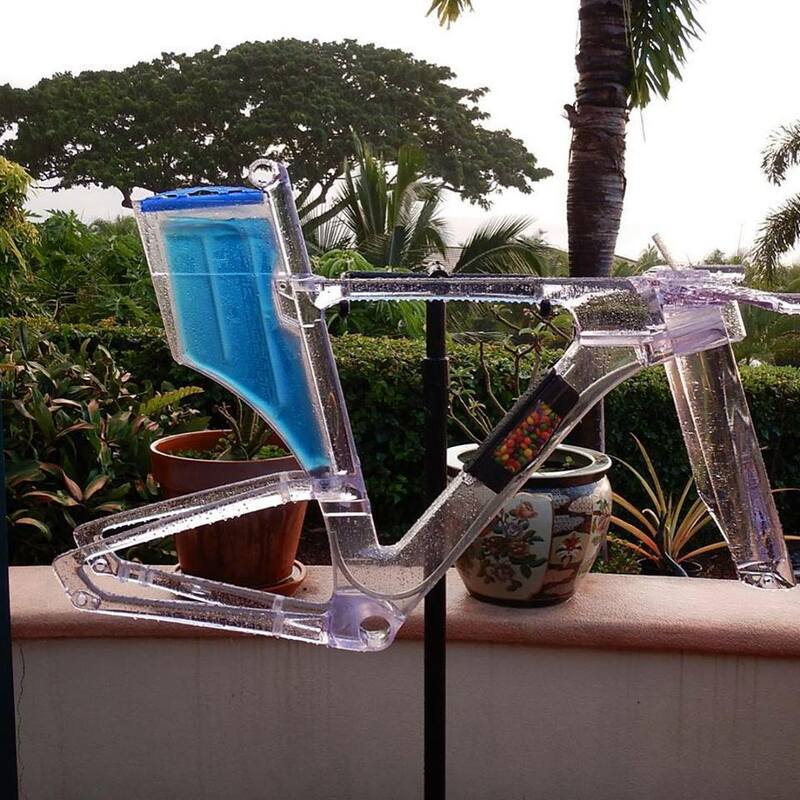 Stay tuned to AeroGeeks.com for more to come from Kona as well as an indepth review of the Shiv next year. The big question for me is: how do you refill that water storage on the go? I’m not convinced that it’ll be straightforward; you’d basically have to open it, hold the open bottle in place whilst squeezing it to get the water out, and then close the cap… all without any visibility of what you’re doing.